The world has watched in horror while members of ISIS justify the next mass murder or icy execution with words from the Quran, followed by shouts of Allahu Akbar—God is the greatest! If beliefs have any power whatsoever to drive behavior—and as a psychologist I think they do—there can be little doubt that the Quran’s many endorsements of violence play a role in how exactly ISIS has chosen to pursue religious and political dominion. At the same time, it should be equally clear a sacred text filled with violence is insufficient to trigger mass brutality unless other conditions are present as well. Culture, empathy, education and empowerment—and other factors that scholars understand only in part—appear to have a protective influence, safeguarding even most fundamentalists against the worst teachings of their own tradition. We know this in part because the Bible contains commandments and stories that are as horrific as those being used to justify butchery in Iraq and Syria. The following 30 violent exhortations are a mix, drawn from Jewish, Christian, and Muslim scriptures. The generic word God is used for all deity names, and names of places or people have been replaced with generic terms. How well do you know your Torah, Bible, or Quran and Hadith? Can you tell which is which? Give it a try and then check the key at the bottom. Anyone arrogant enough to reject the verdict of the [holy man] who represents God must be put to death. Such evil must be purged. I decided to order a man to lead the prayer and then take a flame to burn all those, who had not left their houses for the prayer, burning them alive inside their homes. All who curse their father or mother must be put to death. Fight them until there is no more [disbelief or worshipping of other gods] and worship is for God alone. Whoso fighteth in the way of God, be he slain or be he victorious, on him We shall bestow a vast reward. Make ready to slaughter [the infidel’s] sons for the guilt of their fathers; Lest they rise and posses the earth, and fill the breadth of the world with tyrants. [God’s messenger]... was asked whether it was permissible to attack the pagan warriors at night with the probability of exposing their women and children to danger. The [holy man] replied, "They [women and children] are from them [unbelievers]." Keep [my holiday], for it is holy. Anyone who desecrates it must die. The punishment of those who wage war against God and His messenger and strive to make mischief in the land is only this, that they should be murdered or crucified or their hands and their feet should be cut off on opposite sides or they should be imprisoned; this shall be as a disgrace for them in this world, and in the hereafter they shall have a grievous chastisement. If a man commits adultery with another man's wife, both the man and the woman must be put to death. I shall terrorize the [heathens]. So wound their bodies and incapacitate them, because they oppose God and his apostle. A [holy man’s] daughter who loses her honor by committing fornication and thereby dishonors her father also, shall be burned to death. So when the sacred months have passed away, then slay the idolaters wherever you find them, and take them captive and besiege them and lie in wait for them in every ambush, then if they repent and keep up prayer and pay the poor-rate, leave their way free to them. Everyone who would not seek God was to be put to death, whether small or great, whether man or woman. But if [a girl wasn't a virgin on her wedding night] and evidence of the girls virginity is not found, they shall bring the girl to the entrance of her father’s house and there her townsman shall stone her to death, because she committed a crime against God’s people by her unchasteness in her father's house. Thus shall you purge the evil from your midst. The Hour will not be established until you fight with the Jews, and the stone behind which a Jew will be hiding will say. "O [believer]! There is a Jew hiding behind me, so kill him." If your own full brother, or your son or daughter, or your beloved wife, or you intimate friend, entices you secretly to serve other gods, whom you and your fathers have not known, gods of any other nations, near at hand or far away, from one end of the earth to the other: do not yield to him or listen to him, nor look with pity upon him, to spare or shield him, but kill him. Your hand shall be the first raised to slay him; the rest of the people shall join in with you. God’s Apostle said, "I have been ordered to fight the people till they say: 'None has the right to be worshipped but God'. Cursed be he who does God’s work remissly, cursed he who holds back his sword from blood. Anyone who blasphemes God’s name must be stoned to death by the whole community of [believers]. When you meet your enemies who are polytheists, invite them to three courses of action. If they respond to any one of these, you also accept it and withhold yourself from doing them any harm. Invite them to (accept) [your religion]; if they respond to you, accept it from them and desist from fighting against them... If they refuse to accept Islam, demand from them [a tax]. If they agree to pay, accept it from them and hold off your hands. If they refuse to pay the tax, seek God's help and fight them. Anyone else who goes too near the [Holy Place] will be executed. Killing Unbelievers is a small matter to us. How well do you know your Torah, Bible, or Quran and Hadith?Is the Quran more violent than the Bible as most Americans believe? The question is hard to answer. A tally at the Skeptic’s Annotated Bible counts 842 violent or cruel passages in the Bible as compared to 333 in the Quran. 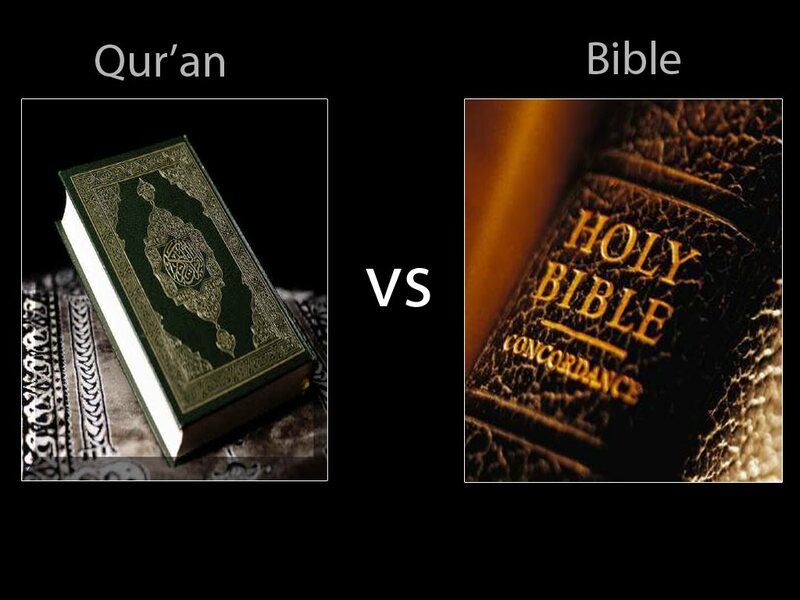 That said, the Bible is a much thicker tome, and even though the New Testament endorses and adds to the violence in the Old, when percentages are compared, the Quran comes out ahead. In addition, the kinds of cruelty and violence vary as do the perpetrator and victim and the extent to which any verse can be interpreted as divine sanction for the behavior in question. Either way, endorsements of violence abound in both. Bible and Quran believers who recognize verses in this list will no doubt protest that they have been taken out of context, as indeed they have. I think the appropriate response to such a complaint is a question: What context, exactly, would make these verses uplifting, inspiring or worthy of praise? In what context are passages like these some of the most important and holy guidance that the creator of the universe might think to impart to humankind? In what context is a book that contains these passages and many, many more like them the apogee of divine goodness and timeless wisdom?